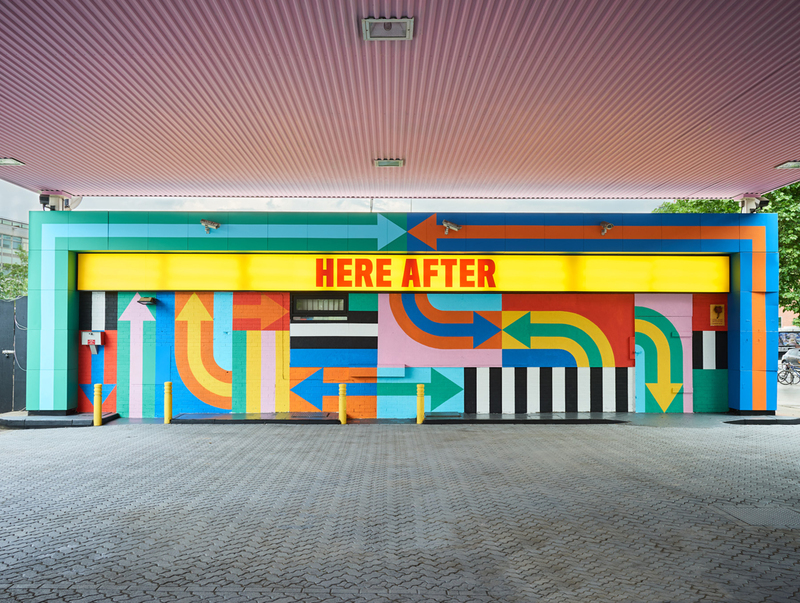 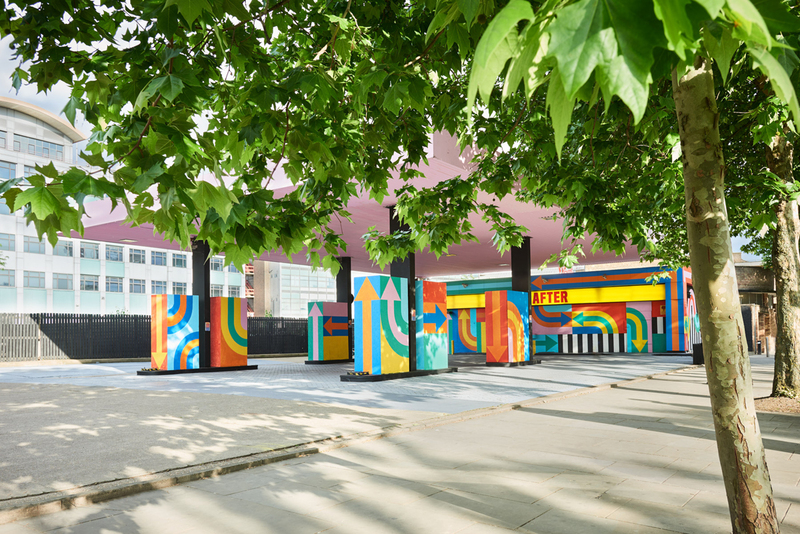 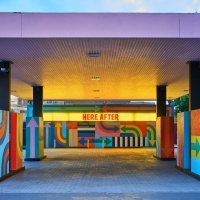 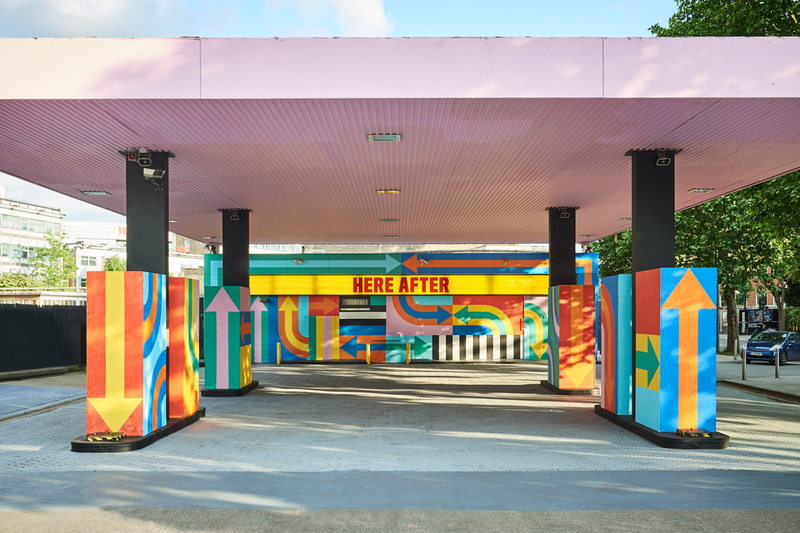 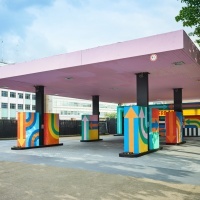 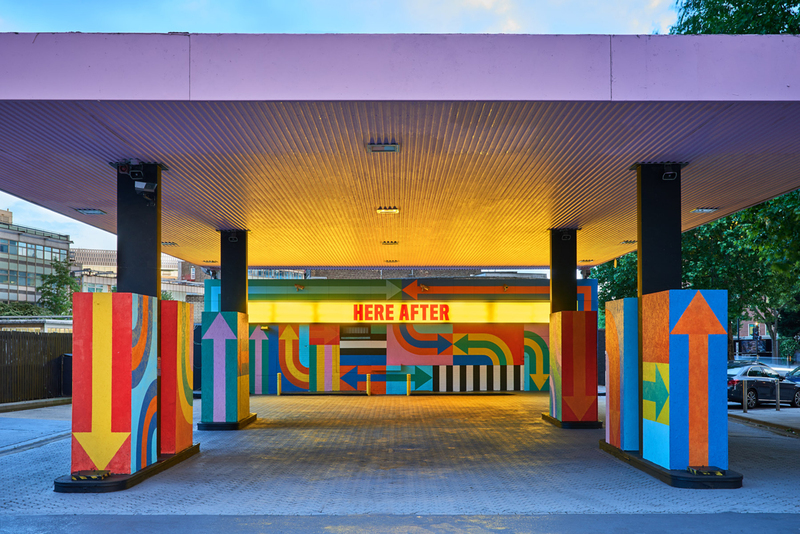 Designers Craig & Karl have revived a derelict petrol station on Wood Lane in London’s White City to create HERE AFTER. 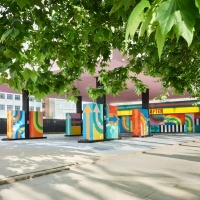 The art installation was inspired by the colours and patterns of the TV test card – Wood Lane was formerly the home of BBC Television Centre and now the location for major redevelopment mixing housing with creative workspaces, leisure facilities and a new outpost of Soho House as part of the White City Place and Television Centre projects. 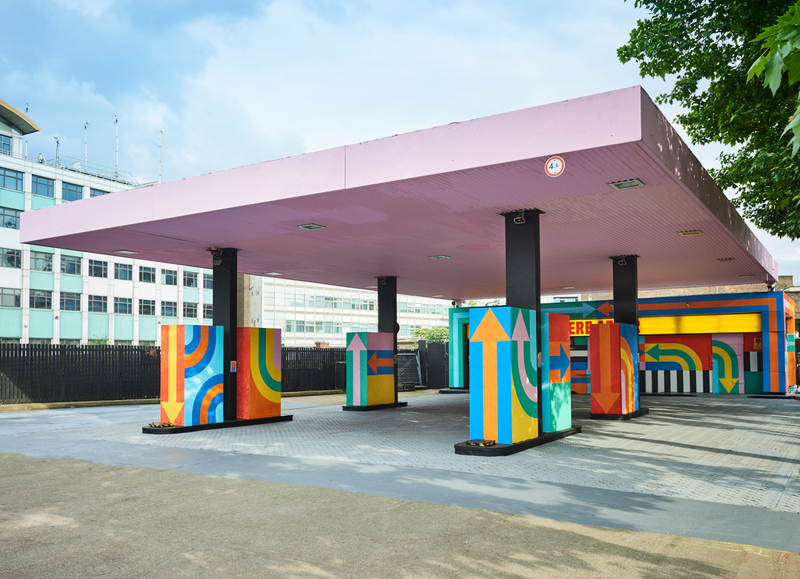 The graphics were inspired by devices found in petrol company branding. 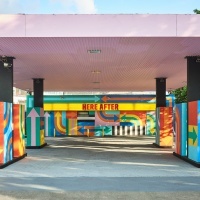 The venue will in future be used for pop-up events.